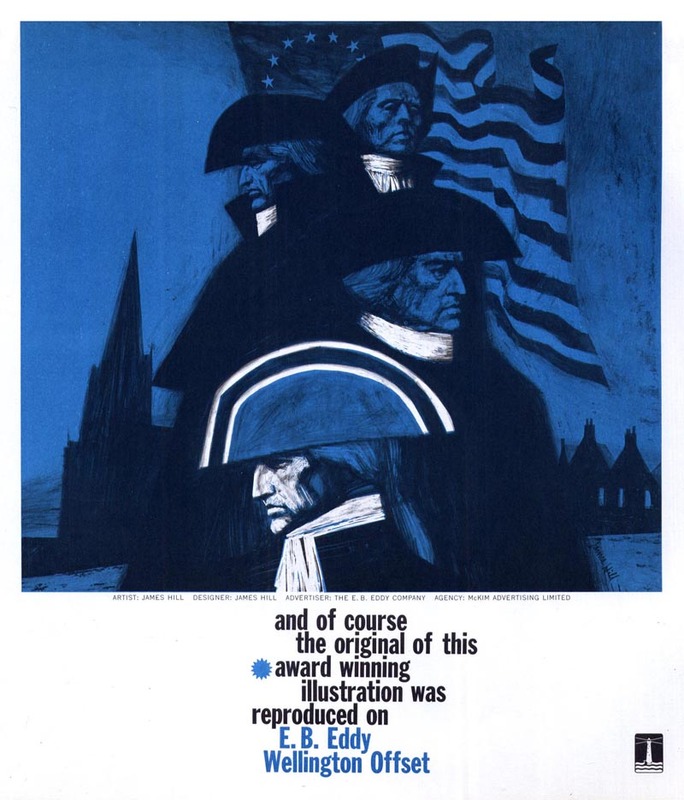 Today's Inspiration: Gary Taxali on James Hill: "the most underrated, and talented, illustrator in our country's history." 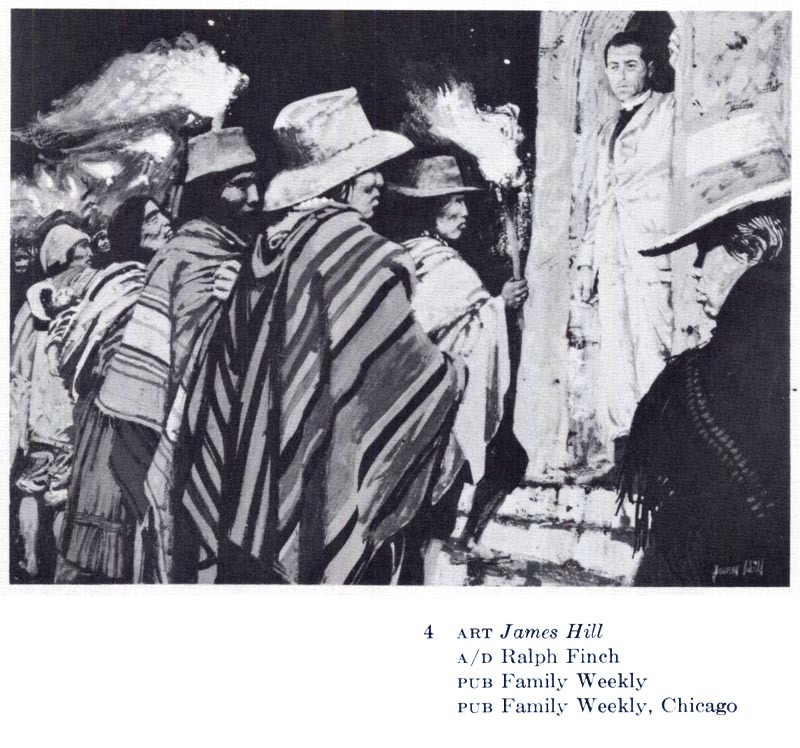 Gary Taxali on James Hill: "the most underrated, and talented, illustrator in our country's history." 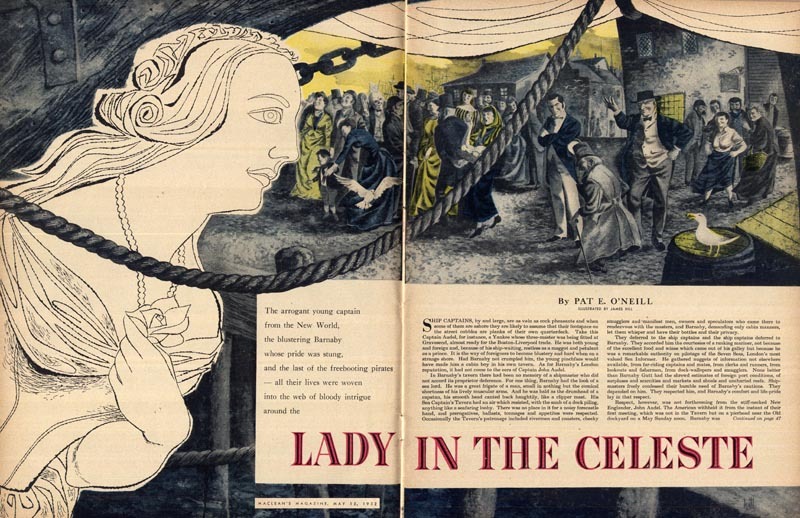 Here's the earliest piece I have by Canadian illustrator, James Hill. 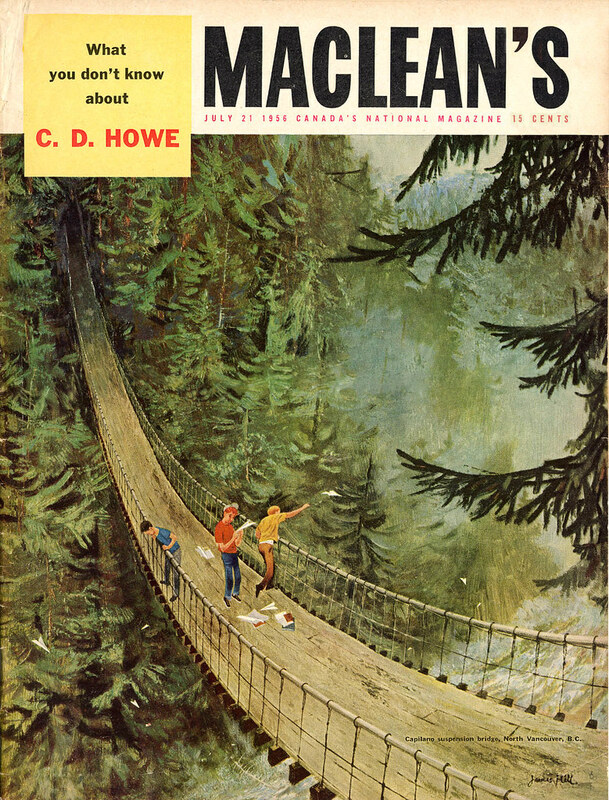 This was done for MacLean's magazine, May 1952. 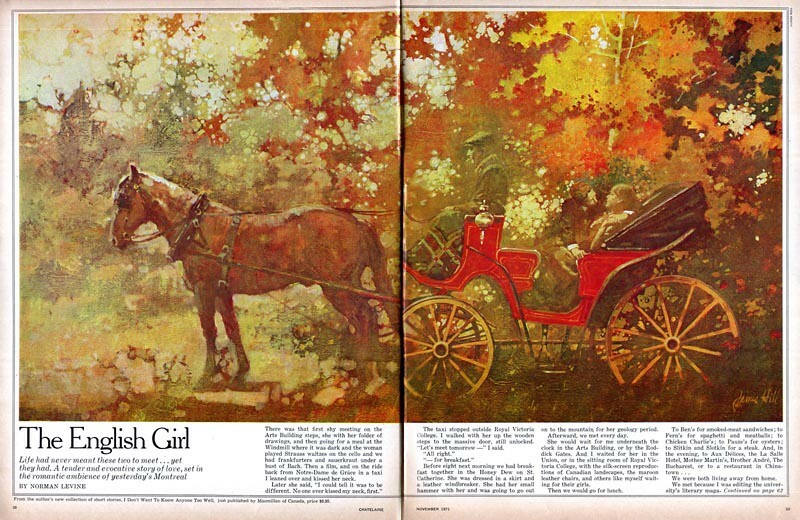 Hill would have been in his early 20's at this time, and already getting assignments on a regular basis from Canada's leading magazines, his work being seen by the public from coast to coast. 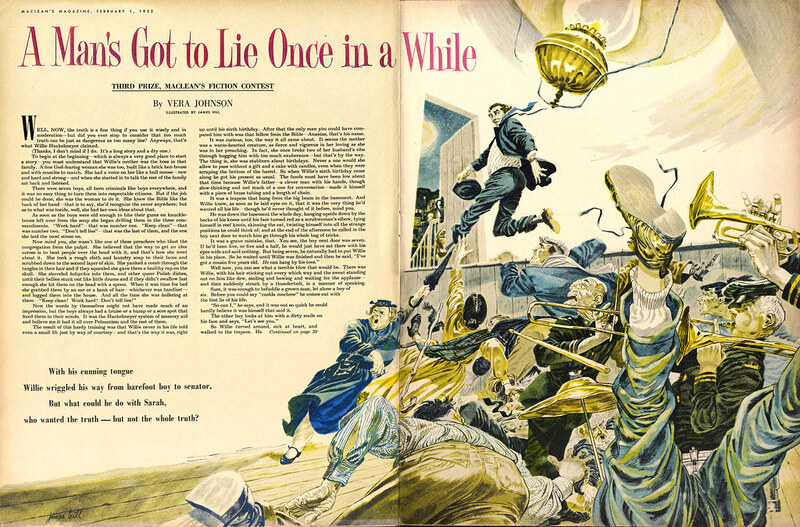 Hill once told an interviewer,"Back in the early 1950s, many of us had dreams of becoming "star" magazine illustrators like Al Parker [or] Robert Fawcett." 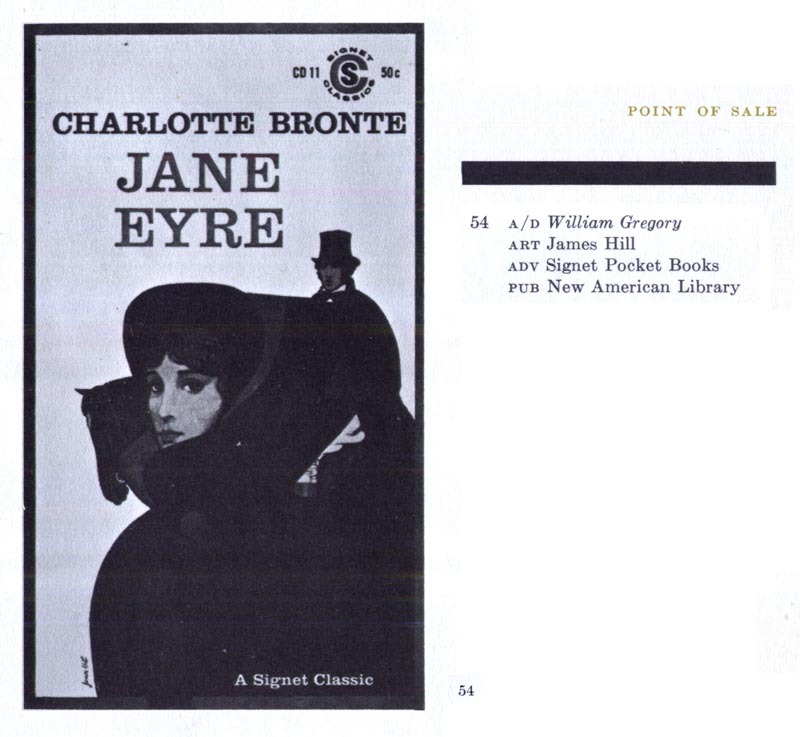 "We poured over the pages of Collier's, Redbook, the Journal and Companion, admiring the work of the established artists and envying the new names whose credits appeared." ... and was skilled enough to create successful work in the diverse range of styles and techniques he experimented with. Describing his 1950s period, Hill said, "When I first started out I had more styles and was trying everything. Trends don't last. To last, you have to be as individual as possible. You have to discover your own way. It happened to me about 1958 and finding it was terrific." 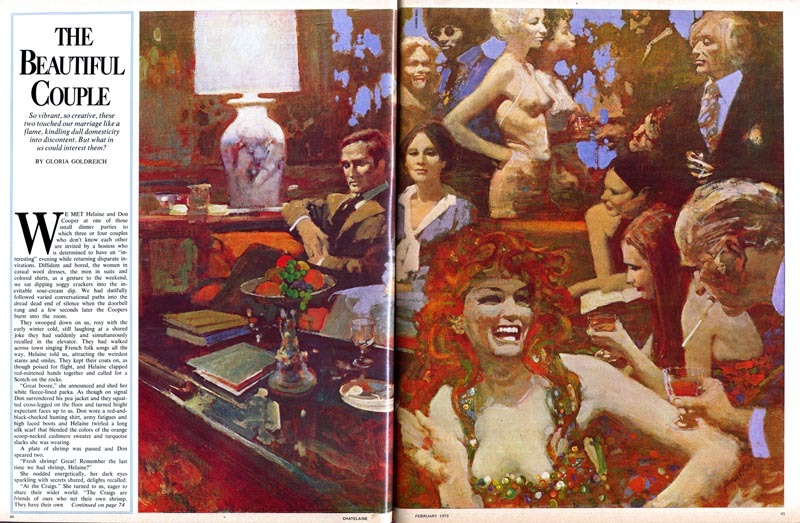 By the start of the '60s James Hill's work (and professional reputation) had matured dramatically. 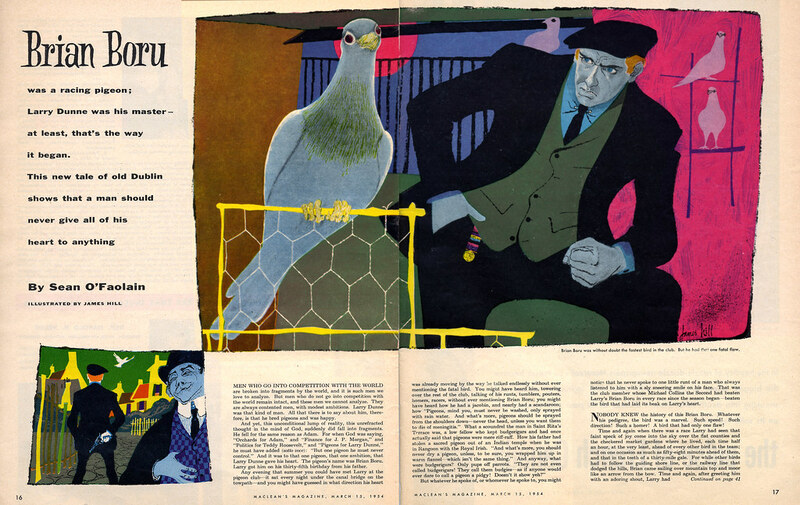 He was doing steady work for U.S. clients - and receiving accolades from the likes of the New York Art Directors Club and the Society of Illustrators. Back home in Canada, Hill was dominating industry awards annuals. 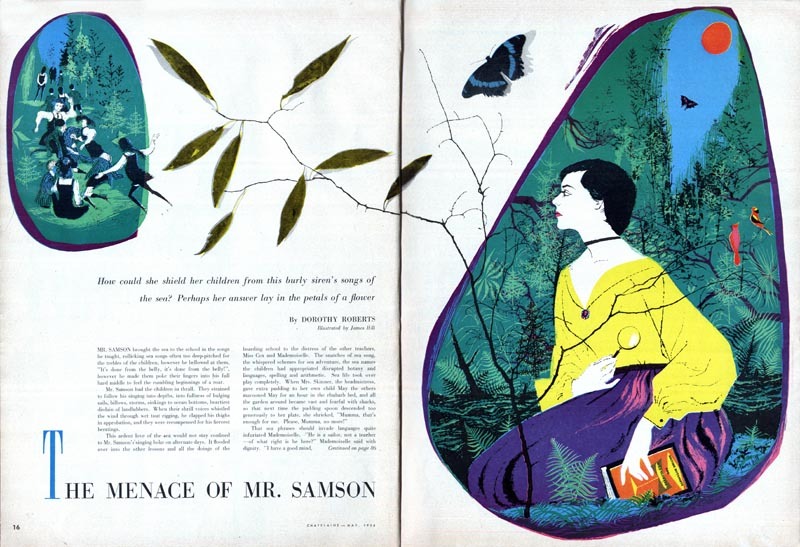 He had five pieces in the 1960 Toronto Art Director's Annual - three took the top prize in their categories. Seeing them en masse like this, what strikes me is how Hill continued to refuse to be pigeon holed. He may have "found his own way" - but clearly Hill's own way would not be a narrow path leading to a dead end. Gary Taxali, today a renowned illustrator in his own right, was one of James Hill's students when he taught at the Ontario College of Art & Design 25 years ago. "Jimmy once said something to me which haunts me to this day," Gary told me. "I showed him my work and he just looked at me and said, "What are you going to do when this goes out of style?" At the time, I dismissed his comment as him being bitter about the industry but later, I realized what a good question that was. I think about it all the time." 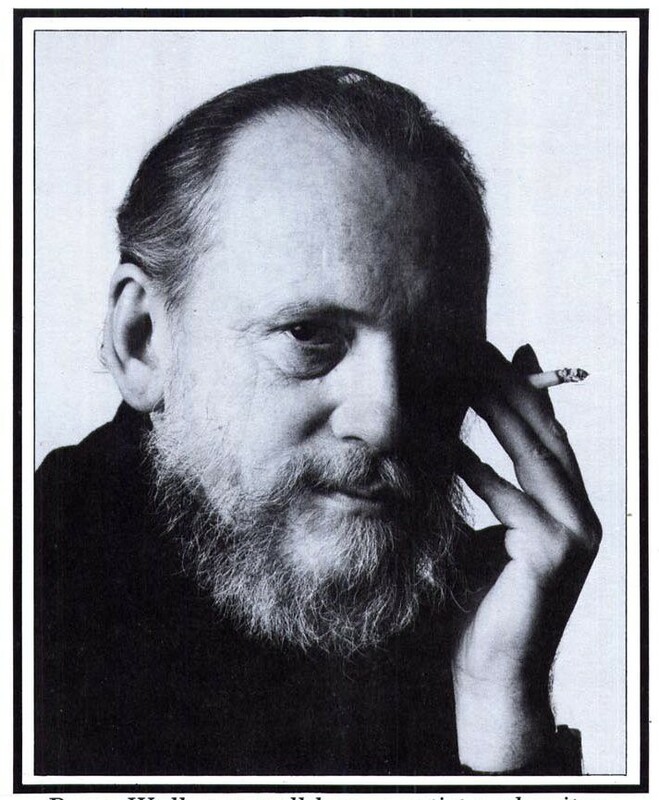 It was clearly something James Hill thought about all the time as well. 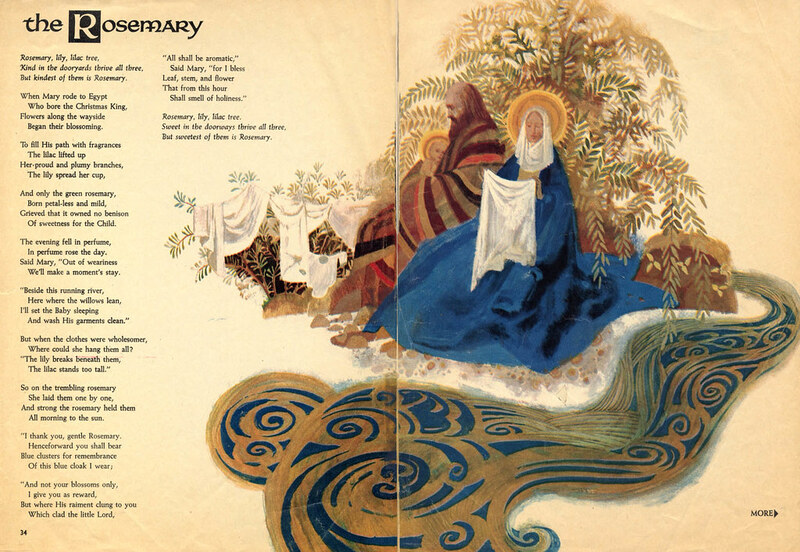 Like many other illustrators, the '60s was a transformative period for Hill. As the '70s displaced that decade, Hill's 'own way' had transformed his style again. 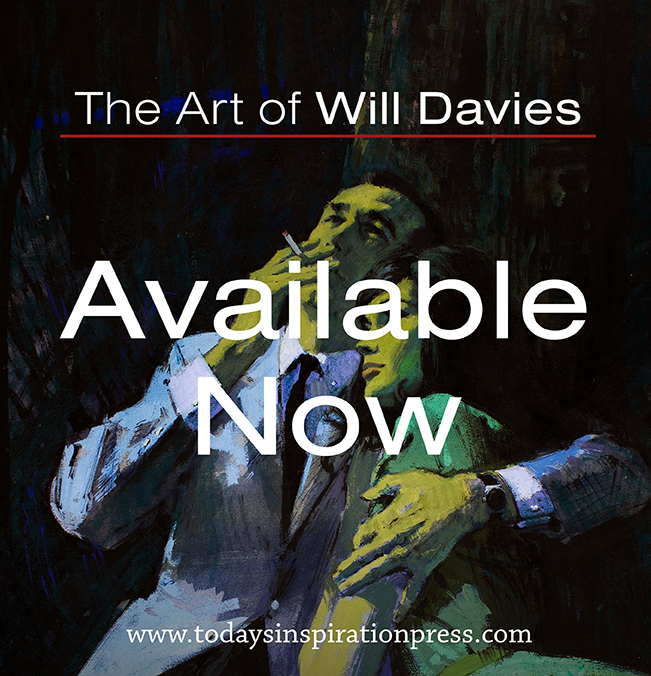 Perhaps a little ironically, on the cusp of such a thoroughly modern time, he found inspiration - and renewed success - in the art of a much earlier era. 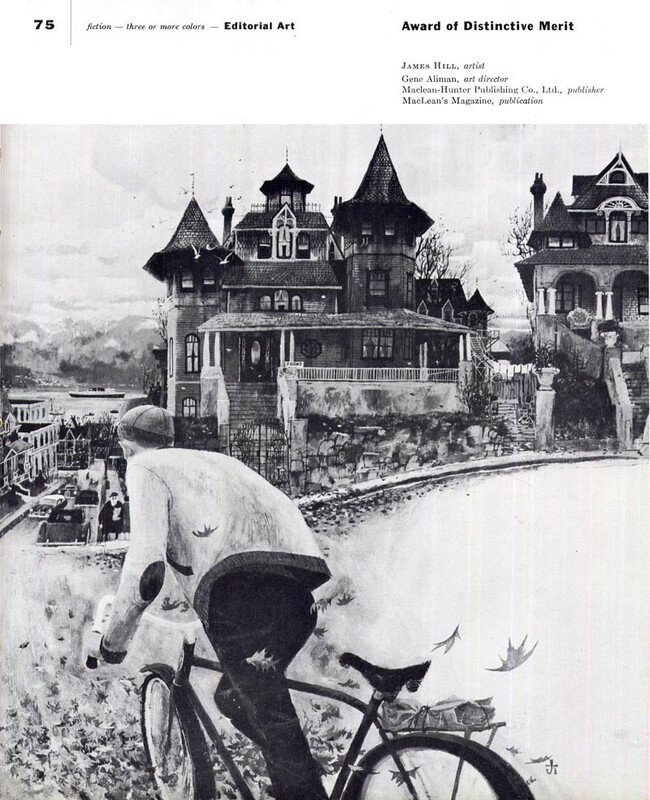 It must have been work like these pieces above and below that, as Gary Taxali described to me, prompted Bernie Fuchs (while visiting Hill's class before Gary's time) to declare, "this man is the greatest illustrator there is." 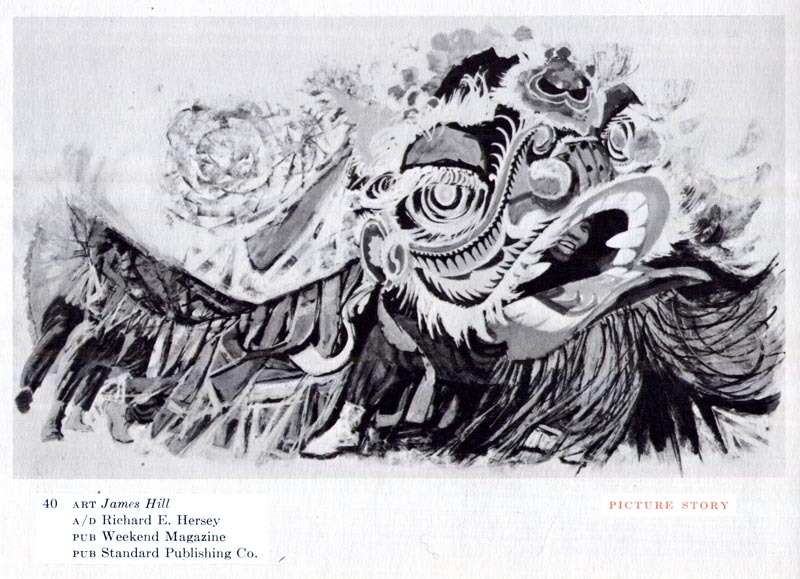 Hill described his philosophy on commercial art like this: "I love to work on a job that is not over-conceptualized. 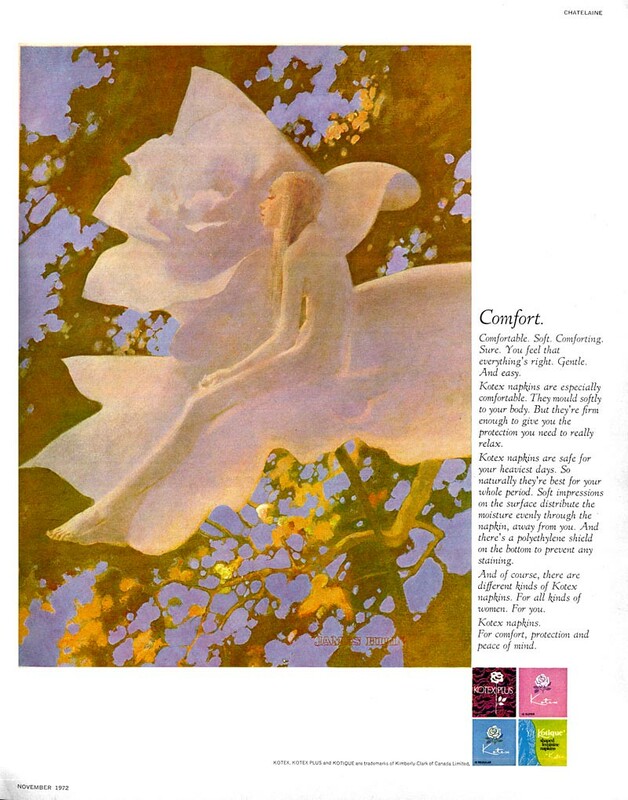 Maybe I'm naive, but I believe that ad art, like magazine illustration, must work with the printed word. The graphic interpretation that's right comes about when the illustrator has a chance to take part in developing the concept." "Jimmy Hill's 6 hour painting class was amazing. You had to be there by 9 AM with your 8x10 wood panel primed with a middle tone, ready to paint the model, if not, he'd kick you out. "You can't start a painting without a middle tone wash", he'd say." Gary continues, "The absolutely amazing thing about the man was watching him paint. Every stroke was made in the kingdom of Heaven. His brushwork was flawless and watching inspired me to 'draw' with a paintbrush. I wonder how many people today can paint, I mean REALLY paint, even close to that level. 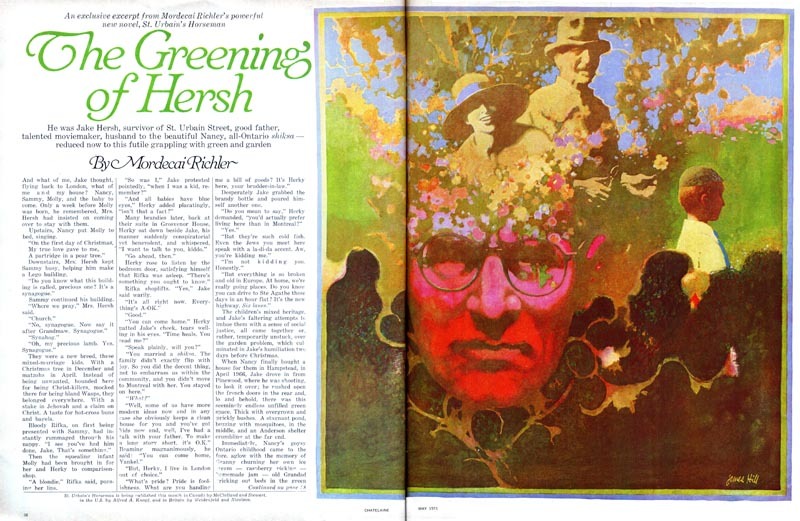 He was simply the most underrated, and talented, illustrator in our country's history." Taxali concludes, "I miss that crotchety, chain smoking, whiskey drinking old man! Never have I seen someone paint as well as him. I used to get to class early so I could set up behind his easel and copy how he made his palette. He was a legend." * Many thanks to Gary Taxali and Age Hill for information related in this post! Wonderful stuff of amazing variety. Nothing to do with the painting/illustration discussion, but it was rum, Lamb's Navy Rum, to be exact. And just to add a further bit of colour, the cigarettes were red, filterless Pall Malls. 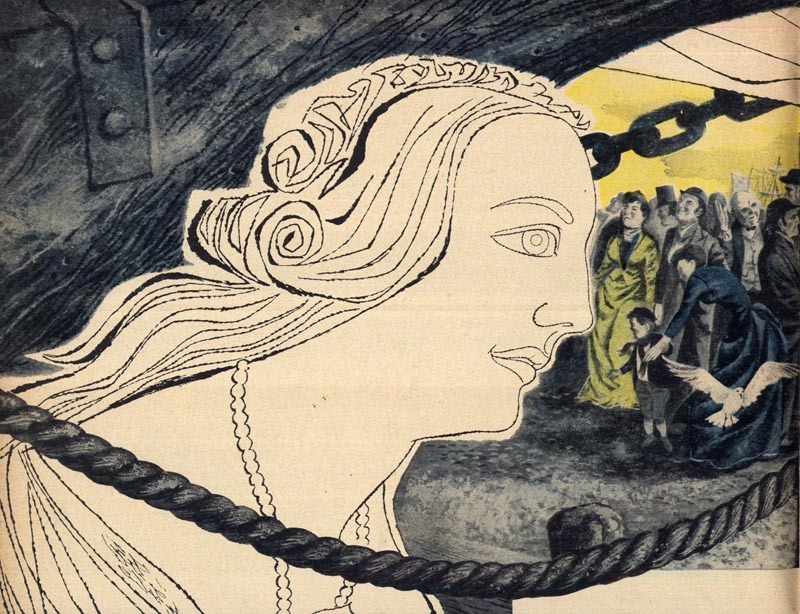 Slowly, we are getting the word out about our neglected illustration history. Take note, present-day illustrators! Throw nothing away - keep good records and diaries - take care of your originals - and leave clear instructions for your estate in your wills - so we historians can ensure Canada's vital graphic arts history and culture doesn't keep disappearing. 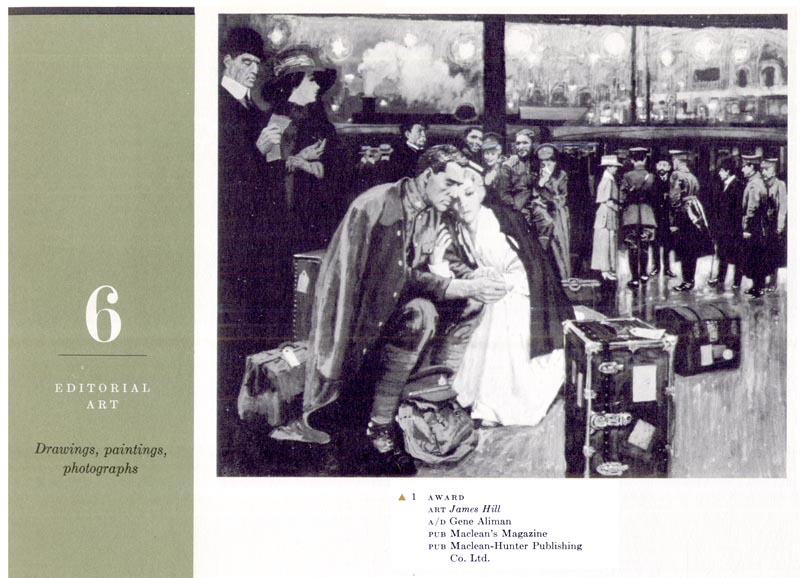 Thank you to everyone in the Hill family and in the illustration community for preserving things. Back in the early 80's, I had a studio in the Cabbagetown section of Toronto, just around from James Hill's. He'd invite me in for a shot of rum, while he was working on his classic series of Visa ads. Amazing man. Amazing work. Just a little story on what a gracious man this giant was. His work sets the bar for me and many artists. It spurred me to enter graphic design with the goal of eventually migrating to painting. His cover for the 1978 National Arts Center was a tantalizing reminder, early in my career, of the possibilities. I realised that dream later when I joined the NAC art department, savoring every minute of that wonderfully creative environment. Later on I evolved into painting and struggled in my little studio in nowhere land just trying to reach for those stars James so eloquently managed to put before us. Well wouldn't you know it if one fine day who should enter my studio but the master himself! There was a large watercolour I had just finished on my board and he asked if he might have a look. My jaw was still on the floor unable to answer him so he just ambled over. Not just a polite scan. He plunked himself down in my chair, leaned forward and studied every nook and cranny of that painting; a portrait of a local Victorian house and garden with intense vegetation and backlighting through the trees. It was a tough challenge for me at the time. He took at least fifteen minutes just staring at it, not saying a word. "With all due respect," I said, "some advice please." He gradually rose up and looked at me in the eye and said "You nailed it!" I nearly wept. I'll always be a neophyte in the presence of such a master. I'm near the end of my career and life. Meeting the man whose work inspired me into a long, thoroughly satisfying and rewarding career; and personally extend his approval of my current work is the stuff of dreams. James Hill, I have a lot to thank you for. God bless you and keep you where ever you are! James Hill was my close friend and confidante in the last 20 years of his life. I am so pleased to read posts like yours and note that he is not forgotten. I have a painting of a boy in a large chair... Somewhat Gothic looking, and it's signed James Hill. I'm trying to figure out if it's this James hill. Can anyone help? I have sent a photo. 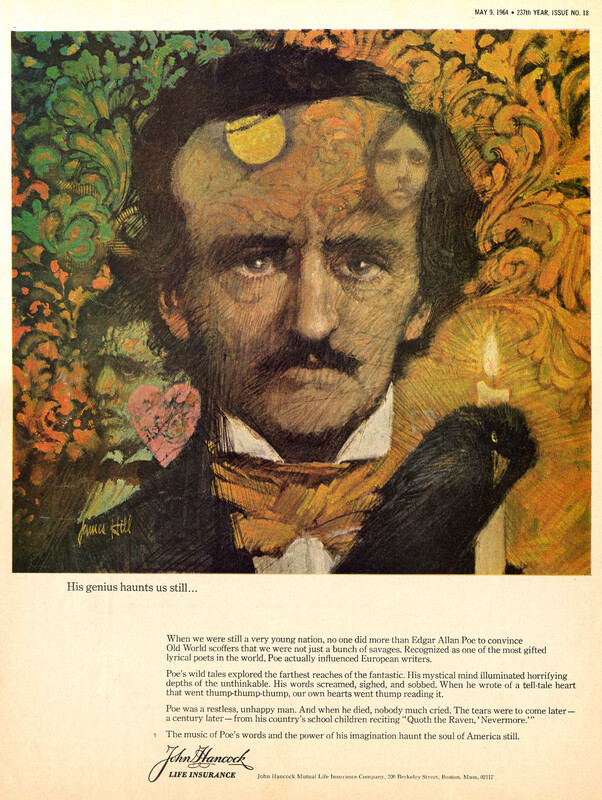 The painting I have was used on the cover of the book, David Copperfield by Charles dickens in 1964. It's a great piece. And for sale, Too!